It's simple, but it makes us happy. Whether it's about catching a trophy fish, spending a day on the water with family and friends, or enjoying mother nature, it's our goal to make more of these moments happen every day. We take fishing seriously (probably a little too serious). But in the end, it's fishing and it's supposed to be fun. Our team has fun everyday building this great product and company, and we want our members to have fun on the water as well. Whether it's trolling our CEO on April Fool's Day, Fish Fry Fridays, or having team meetings on a pontoon boat, we enjoy every moment and love what we do. It's why we came together with a common vision to create a one-of-a-kind fishing resource to give anglers of all kinds the chance to catch more fish through the use of interactive fishing maps, social connections and tons of proven, valuable information on thousands of waterways across the country. To us, it's a good thing and makes the world a better place. This means providing members of the Fishidy community with access to exclusive information they can use to be more confident and have more fun while they are on the water. It makes fishing more accessible and encourages people to go out and try it. 90% percent of fish are found in 10% of water. It's true. Understanding the underwater landscape is crucial to success. It's why we are a MAP-based social network. We partnered with the best fishing map-maker in the world, Fishing Hot Spots® . Our algorithms and our social community's GPS enabled spots, catches, social connections gives our members the opportunity to eliminate unproductive water and head straight to the action. We love reality shows and video games too, but we believe spending time outdoors is a necessity in life. It's good for mind, body and spirit. It creates stewards of the environment. It brings people together and it promotes healthy living. We strive to keep younger generations engaged and active in fishing through a fun, educational and social platform. 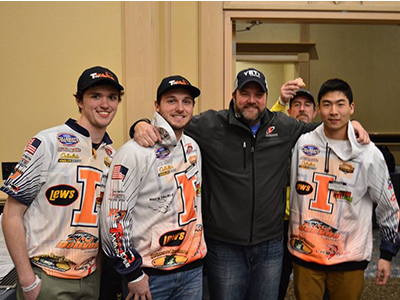 We also actively support dozens of college and high school fishing teams. Honor Those Who Fight to Allow Us to Fish. We realize how lucky we are to have such beautiful waterways to fish and we appreciate that we can do it in peace and comfort thanks to our Armed Forces. 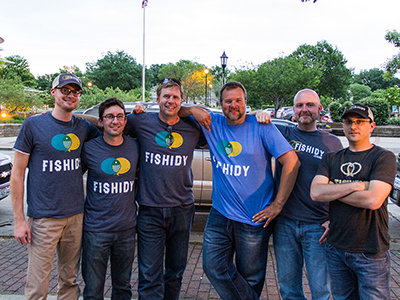 Fishidy is committed to serving our Veterans and active Military Personnel and proudly supports organizations like Take A Vet Fishing, The Wounded Warrior Project and other military support organizations. Thank a Vet today and then take them fishing! 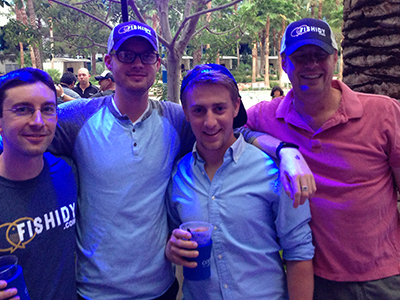 The Fishidy team is comprised of hard-core anglers with backgrounds in digital technology. We earned our chops working with the likes of IBM, GeoDecisions, and a variety of Fortune 500 companies. We are almost as passionate about digital marketing and building great software as we are about fishing. We call Madison, WI home. Why Madison? Well, here are 7 good reasons. Not to mention it's within 2 hours of some of the best fishing spots in the Midwest. Even though we call Madison our home base, our team members reside throughout the country. You can find us fishing the Susquehanna River in Pennsylvania, the Piers of Virginia Beach, Puget Sound in Seattle, Lake Winnebago in North Central Wisconsin, or the inner harbors of Chicago. Fishidy partners with some of the biggest names and smartest outdoor technology companies in the game to bring powerful fishing tools right to your fingertips.